Well here we go again. Planning applications rushed through with very little publicity or time for appeals. Apparently Hammersons has applied for planning to knock down the old library and change its use to retail for a fast food outlet with some parking. Will they also take over the large area where the police station stands when the force move into the office above the shops in Manor Walks, rent at tax payers expense going into the pockets of this private entity? The second largest town in Northumberland and we won’t even have a free standing police station (bring back Paradise Row). Will Hammersons also takeover the retail plot going through planning on the other side of Station Road on the corner of the roundabout near the train station? I would not bet against it. Our town councillors are not kept informed even though some of them also sit on the county council but are sworn to secrecy because the information is ‘commercially sensitive’. This means they give priority to the county as opposed to the town council. This cannot be fair to the local council or the residents. All we get are rumours and ‘leaks’. There are also rumours that the Health Centre in Forum Way will follow The Brockwell Medical Centre to the hospital. This would be very sad and inconvenient to a lot of people if it turned out to be correct. There is a medical facility marked on the plans for the Station Road development so hopefully the move to East Cramlington is only a rumour. 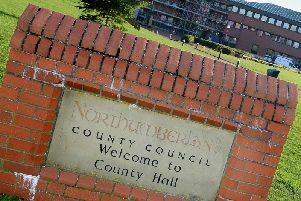 Decisions made by county councillors in their ‘Ivory Tower’ in Morpeth (soon to be Ashington) should not be made which affect our town without informing our elected council members who in turn can keep the residents informed. Why the secrecy? A tattoo parlour, albeit discreet, has appeared in our village without any prior knowledge to residents. Also, many alterations have been carried out in the village without planning and then their retrospective planning applications have gone through. A lot of bad decisions have been made not only in Cramlington but other towns and villages in Northumberland. No one listens to the people anymore. Please attend your monthly town council meetings and let your opinions be known.